Summer is intense this year. Any cold dessert is a welcome comfort to make the heat bearable. 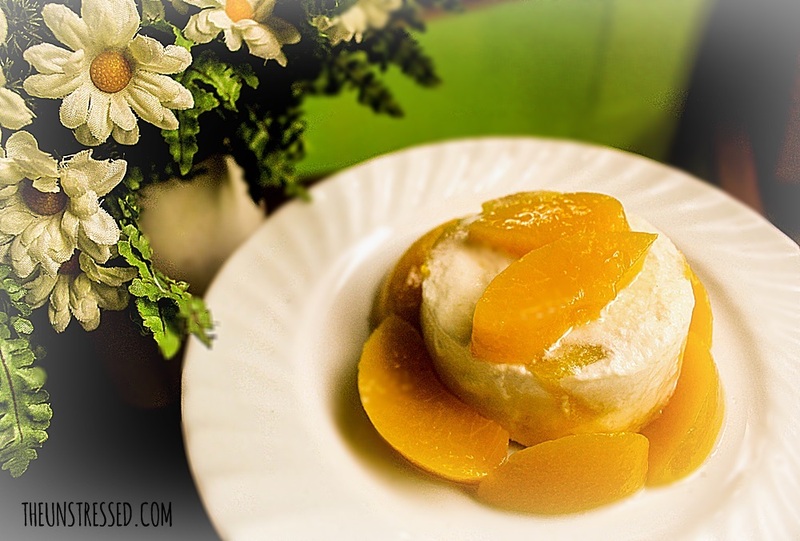 I am sharing with you two cold dessert recipes that were hits with my family. 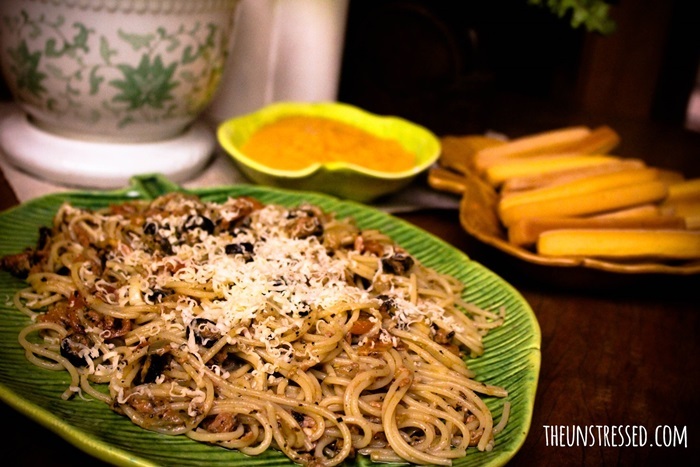 Both recipes are easy to make and you can even get your kids to help you prepare them. 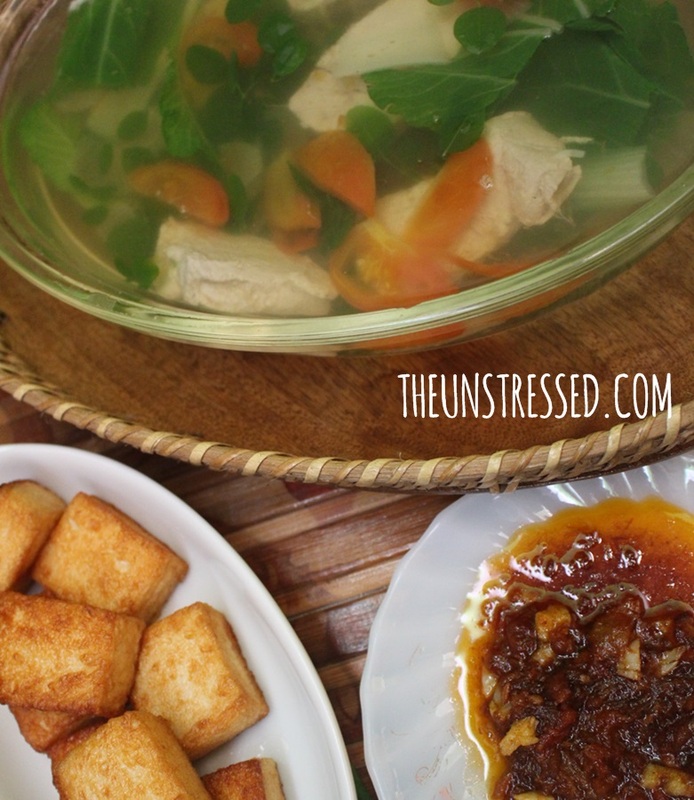 I used ingredients that are easy to find in the grocery.. or even in your nearest convenience store! Mangoes are in season. In our place, they are sold at Php40 per kilo. So cheap! 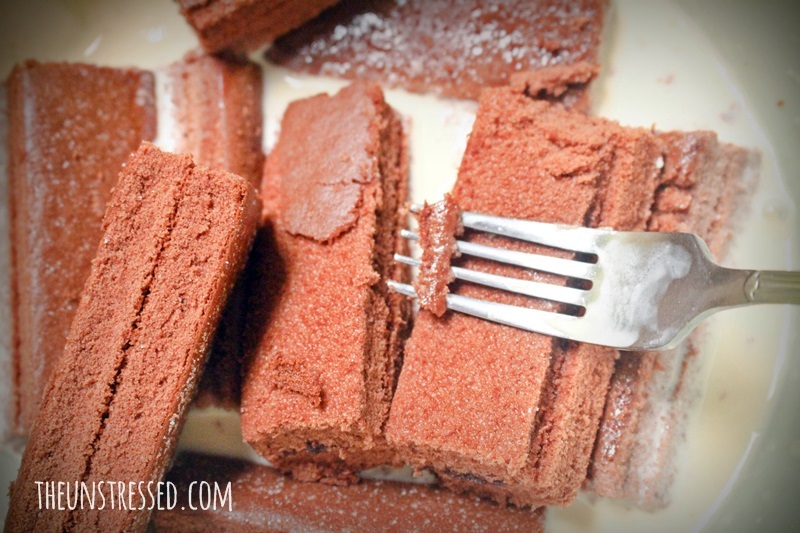 I had to incorporate them into the dessert. 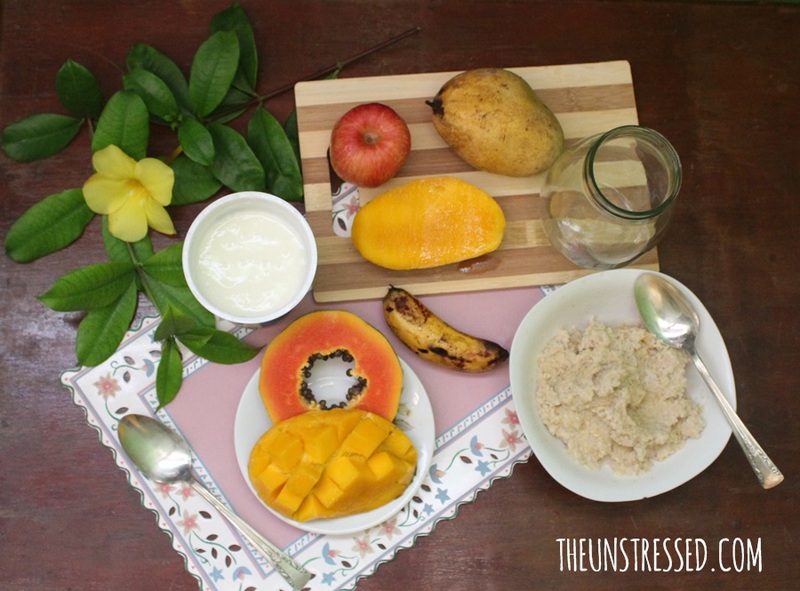 You can always replace mango with any fleshy fruit available in your grocery. 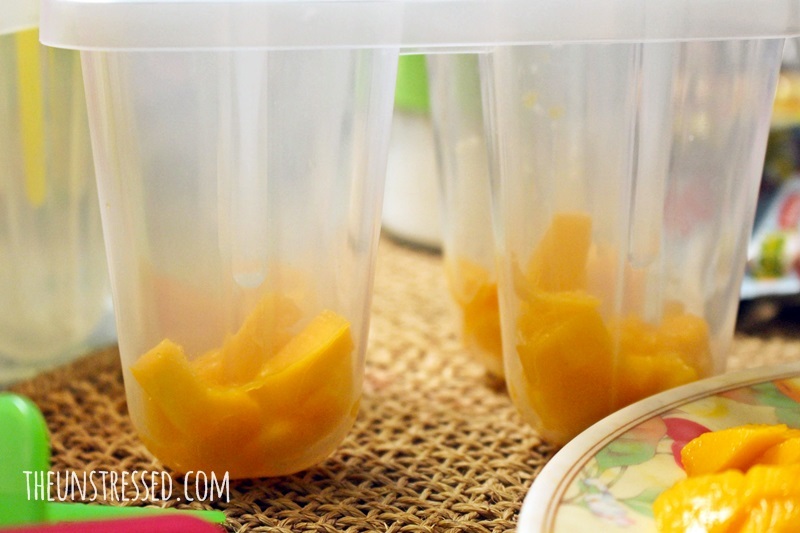 You can substitute canned fruits if you cannot find mangoes in the grocery. 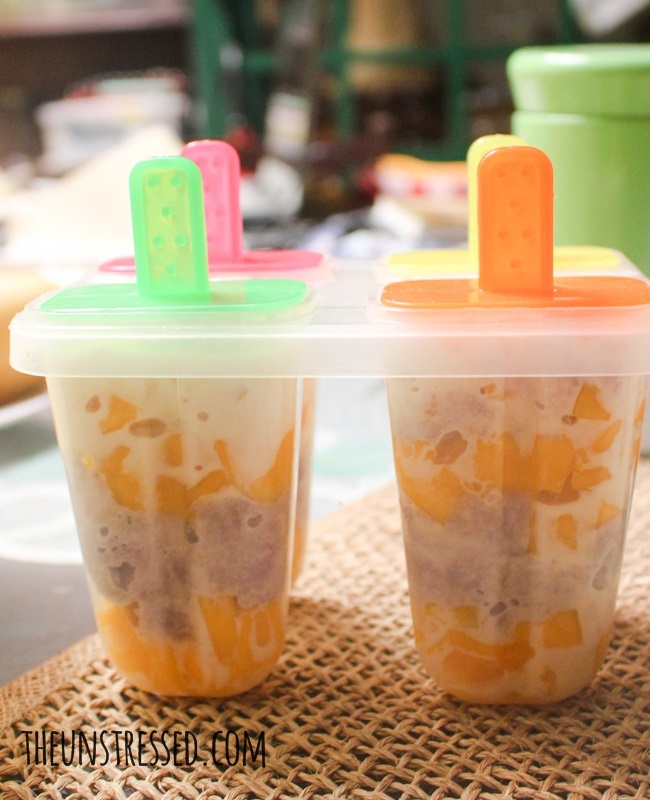 You will need 2 ripe mangoes, 6 individual packs of Lemon Squares Inipit and 1 big can of evaporated milk. If you want a sweeter dessert, you can add sugar to the ingredients. 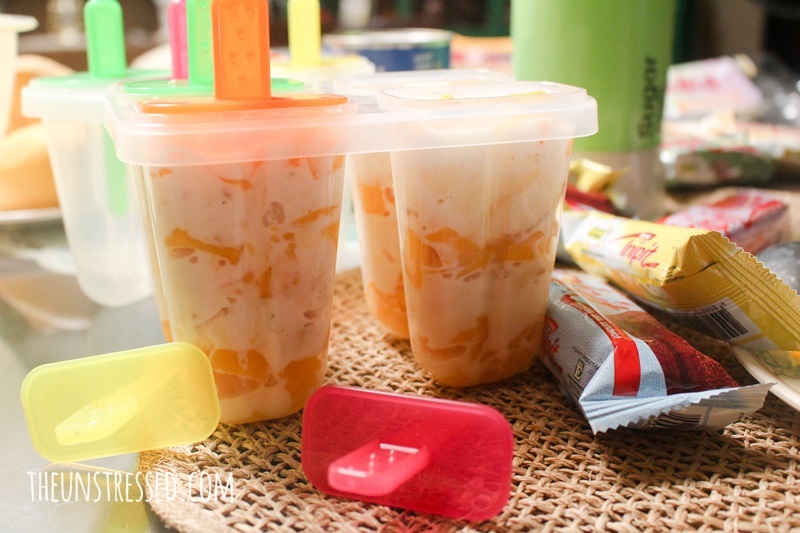 To create the dessert, cube the Lemon Squares Inipit and soak the cubes in the evaporated milk . 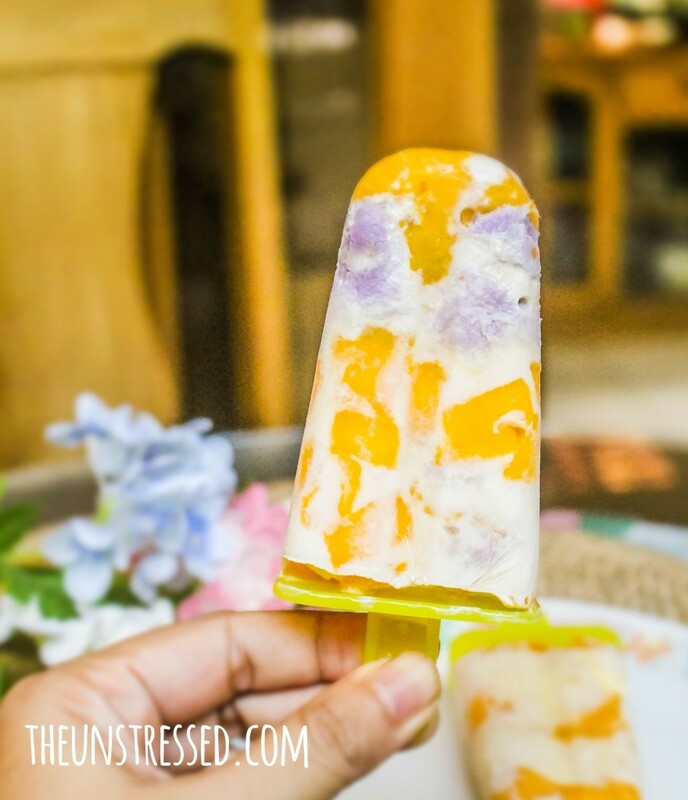 Layer the mangoes and Inipit into the popsicle mold. Repeat the layering process until you fill the mold. I got the Inipit pack with assorted flavors. 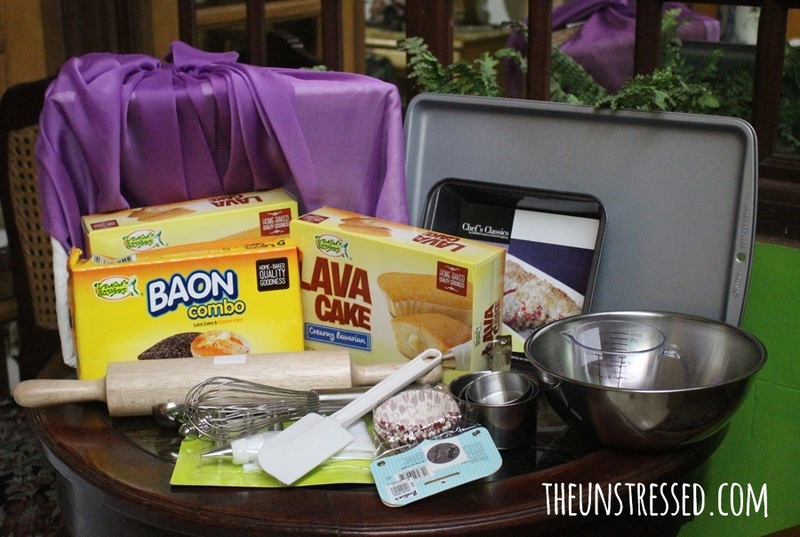 In this layer, I used the ube variant. 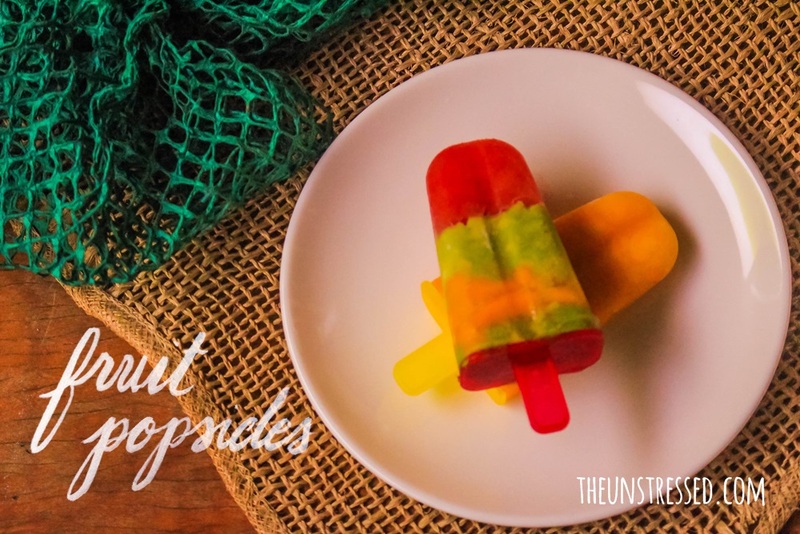 This recipe yields 8 popsicles. This is how it looks when frozen. The heat is a little bearable with this frozen dessert. 1. 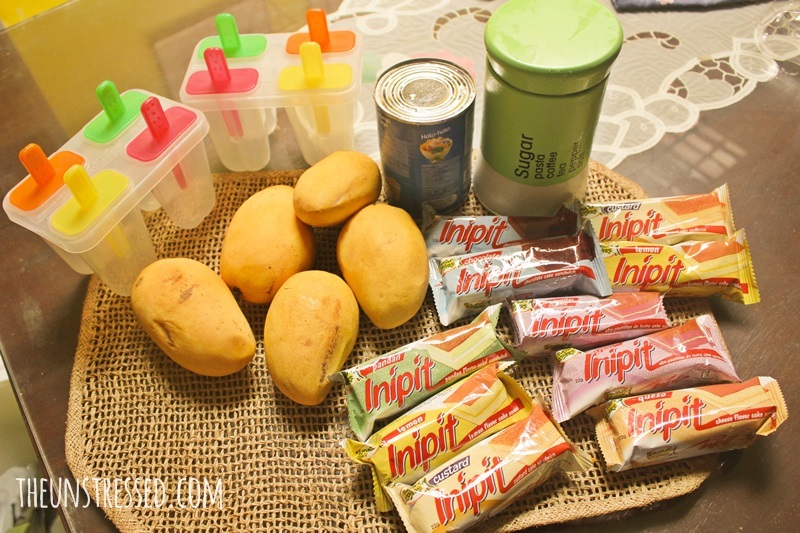 Cut Inipit into cubes. 2. 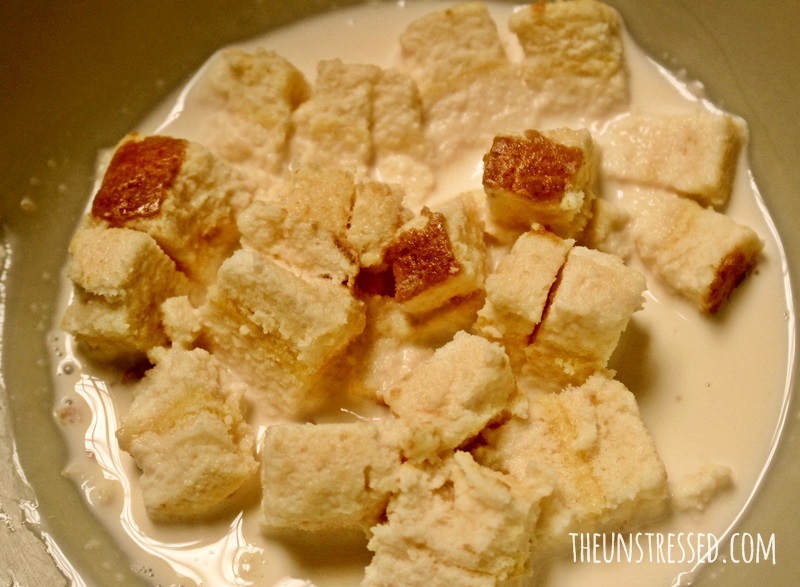 Soak cubed Inipit in the evaporated milk. 3. 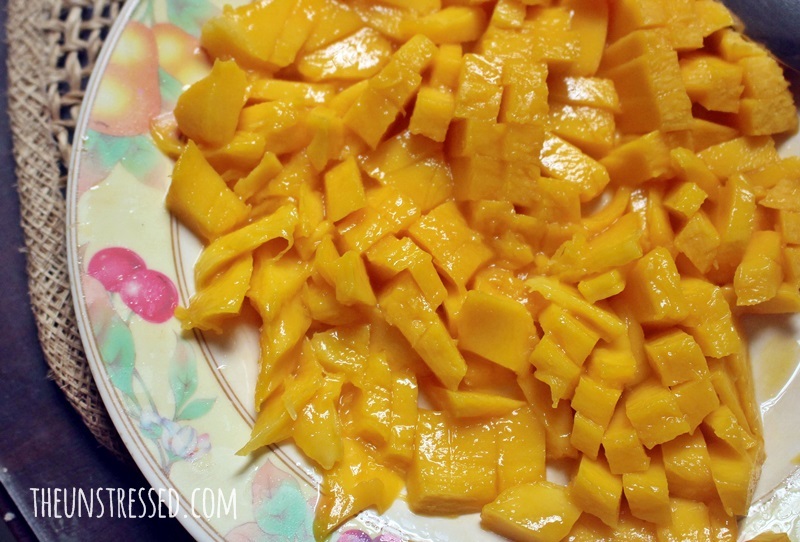 Cut mangoes into cubes. 4. 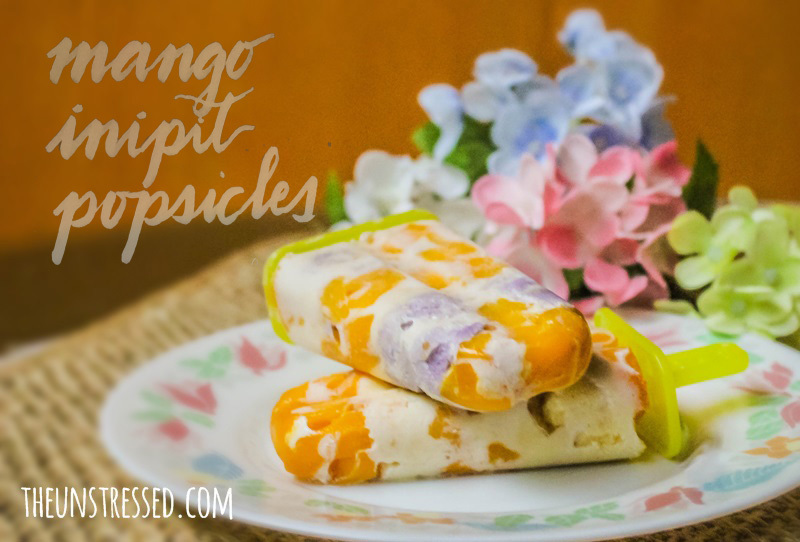 In the popsicle mold, fill up with layers mangoes and the soaked Inipit. 5. Pour in the excess milk to fill the mold. 6. 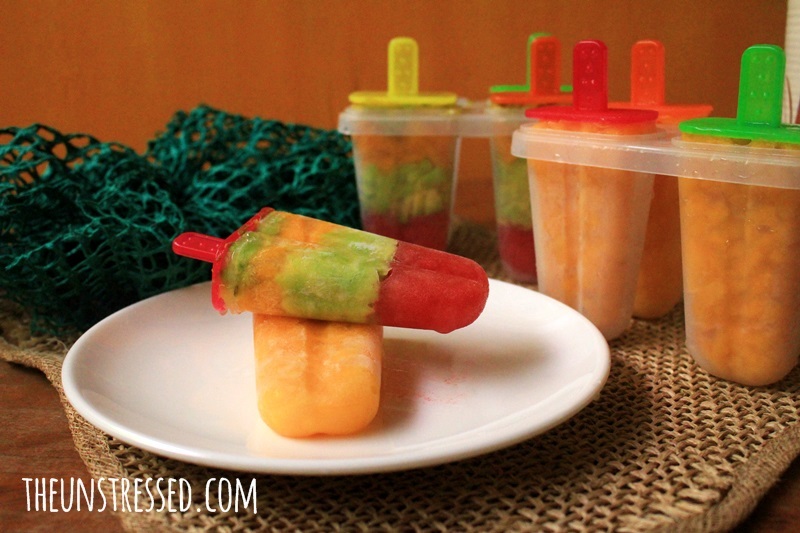 Freeze the popsicle container overnight. Since I still have packs of chocolate Inipit in my pantry, I made another frozen dessert. 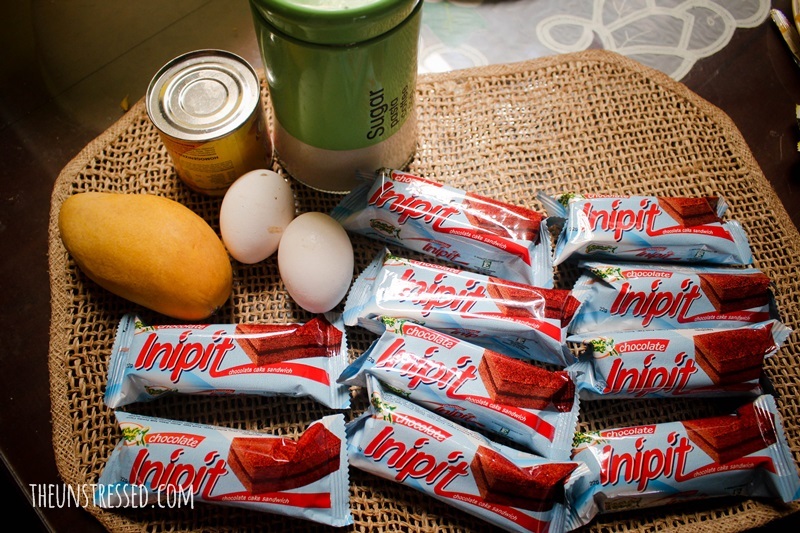 You need almost the same ingredients: 1 ripe mango, 10 individual packs of Lemon Squares chocolate Inipit, 1 small can evaporated milk and 2 eggs. Sugar is optional. Beat eggs. Add milk. Mash the Inipit into the evaporated milk-egg mixture. Use the fork to mash. 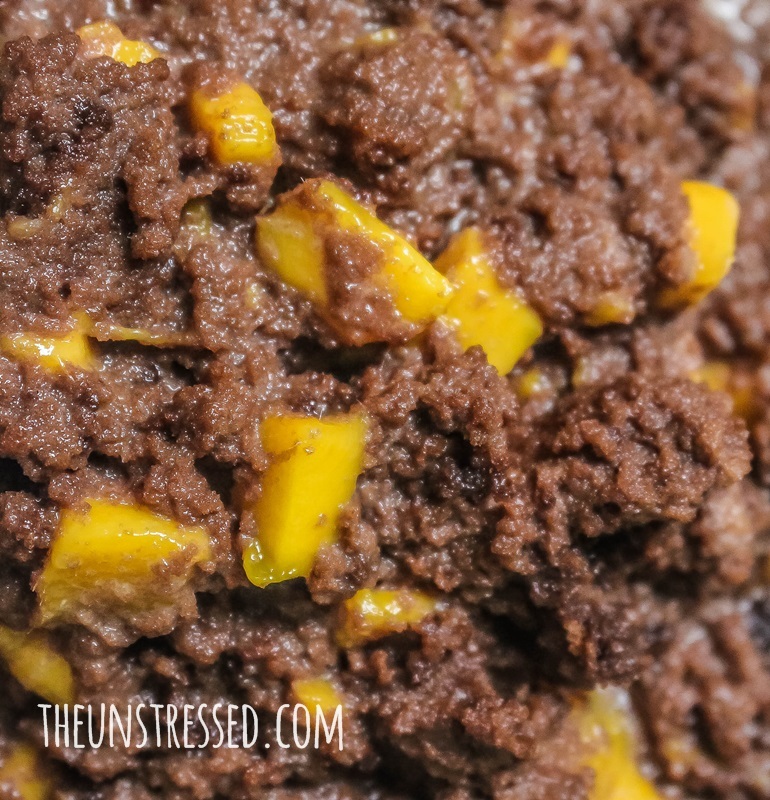 Mix in cubed mangoes into the mashed Inipit. Microwave the mixture on high for 3 minutes. I am doing this to cook the eggs. You can also bake this in the oven at 350 degrees Fahrenheit for 15 minutes. Let it cool and freeze for at least 4 hours. 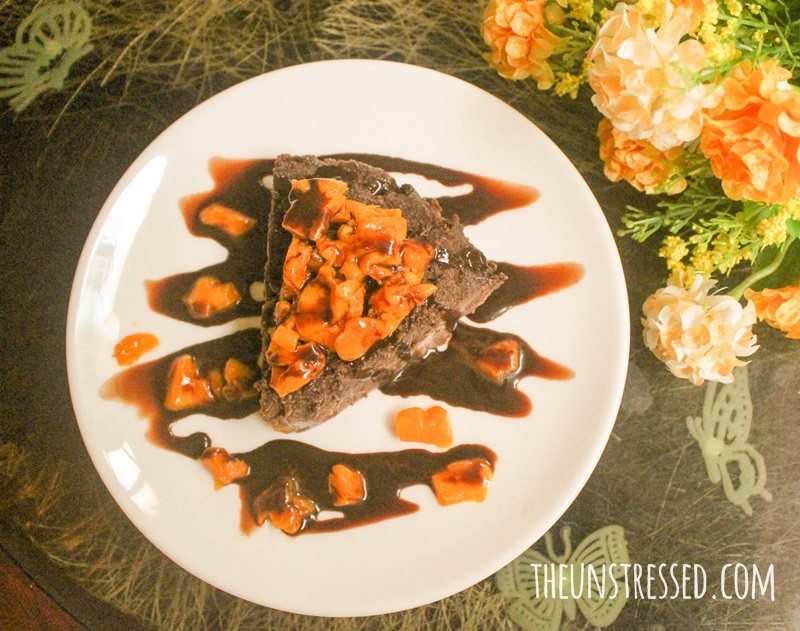 To serve, garnish cubed mangoes on top and drizzle with chocolate syrup. This is as delicious as it looks. Try this! 1. Beat eggs. Mix in the milk. 2. Mash the Inipit into the evaporated milk-egg mixture. 3. 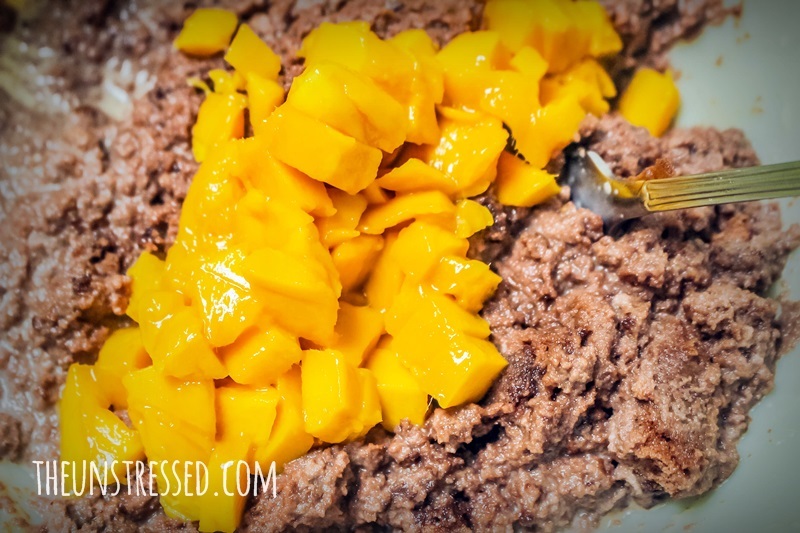 Mix in cubed mangoes. Mix well. 4. Pour the mixture into a shallow dish. 5. Microwave on high for 3 minutes. 7. 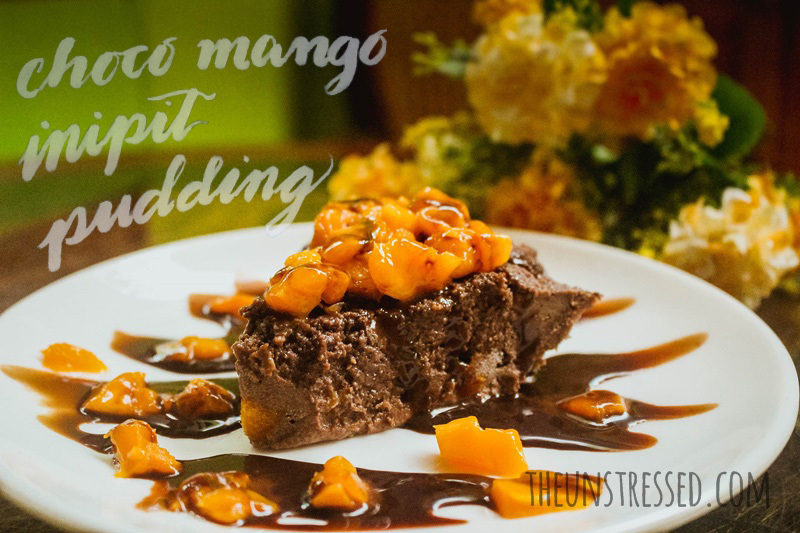 To serve: garnish with cubed mangoes and drizzle with chocolate sauce. 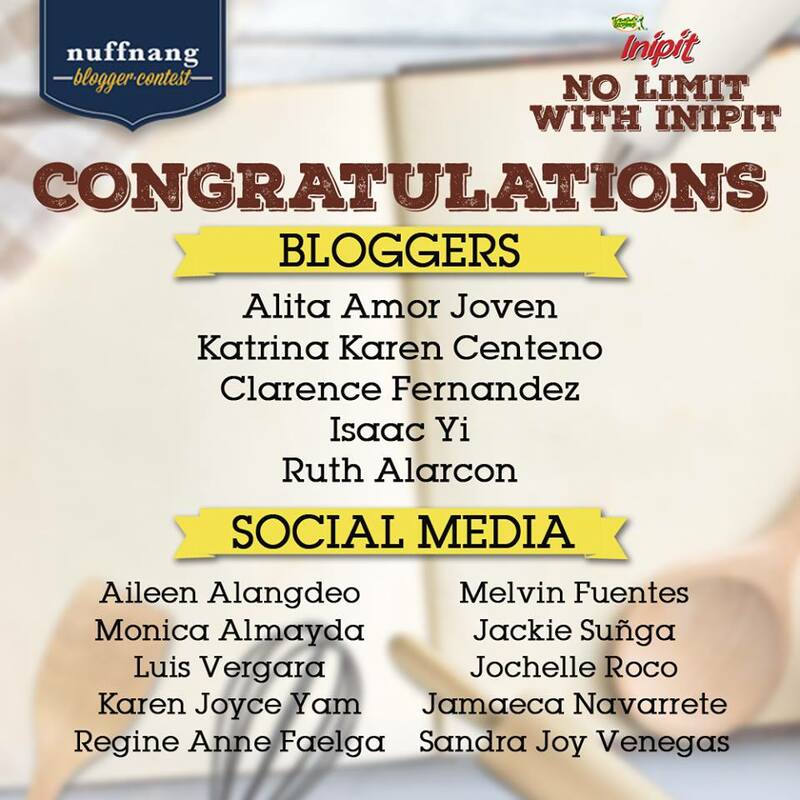 *** This is an entry to a Nuffnang Contest. Since I was trying to eat healthy food, I have been depriving myself from eating desserts. Good thing I found popsicle trays at Daiso. I got this urge to immediately use it. 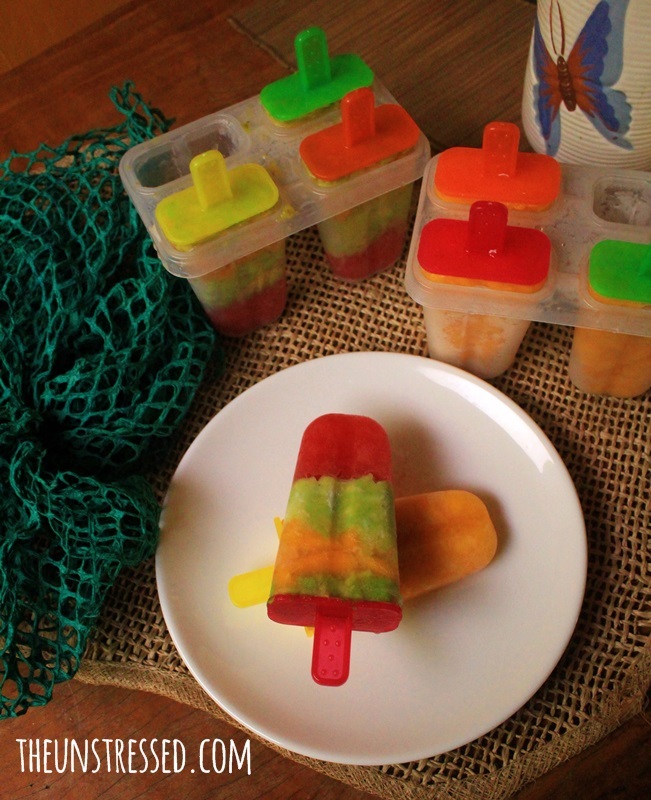 As a start, I made fruit popsicles. This is fairly easy. I bought watermelon, avocado and mango. I chopped the fruits finely and layer them. 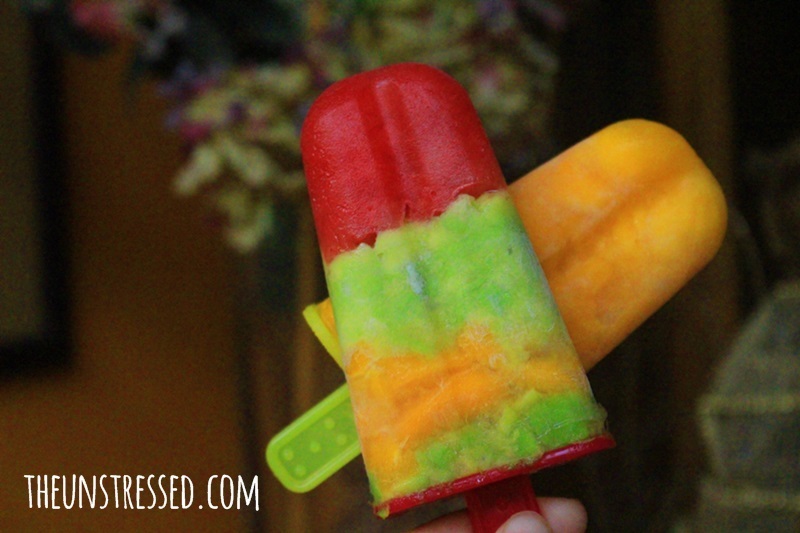 I also made popsicle made with purely mangoes. I guess fruits are good for the heart. 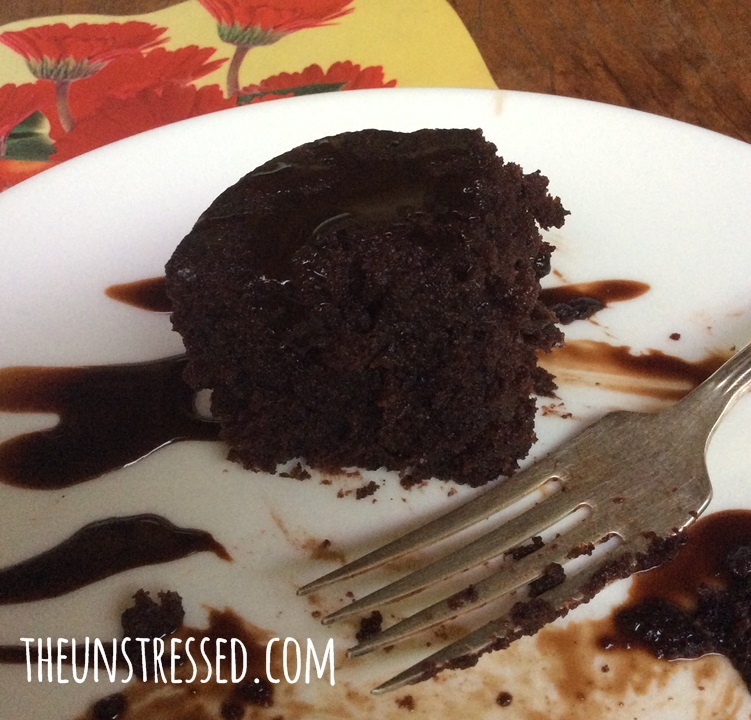 My 21-day No Junk Food Challenge ended on Valentine’s day. 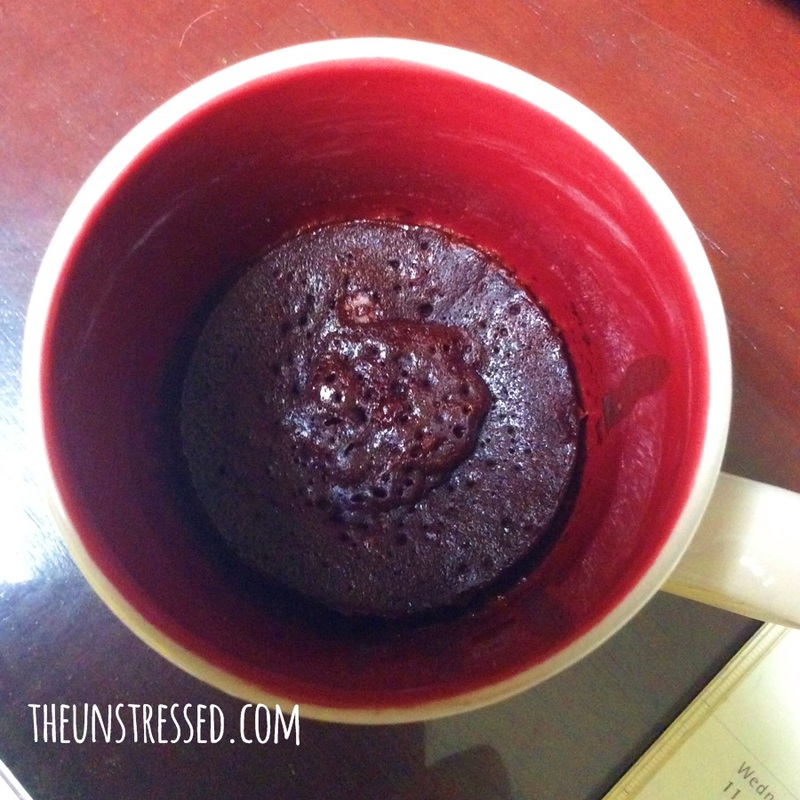 I wanted to try this mug cake recipe. 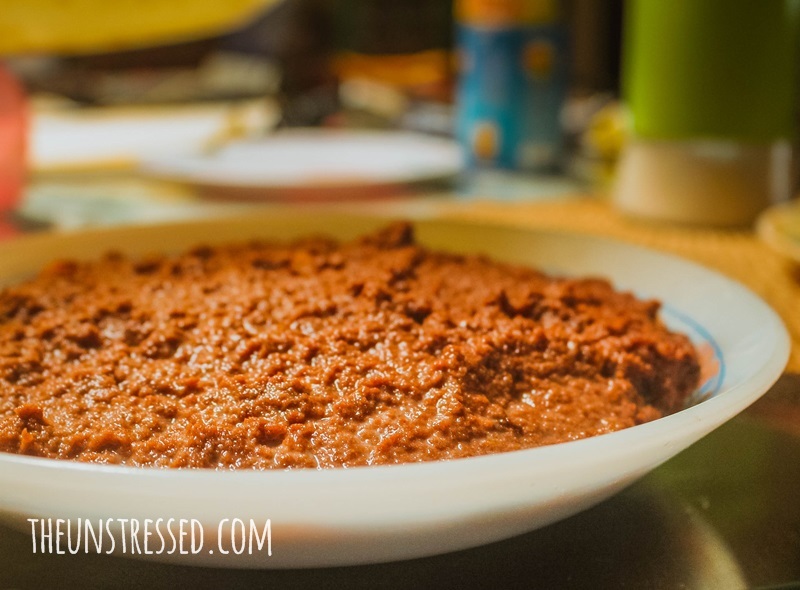 Preparation time is less than 5 minutes and you only need to microwave it for 70 seconds. This is how it looks inside the mug. 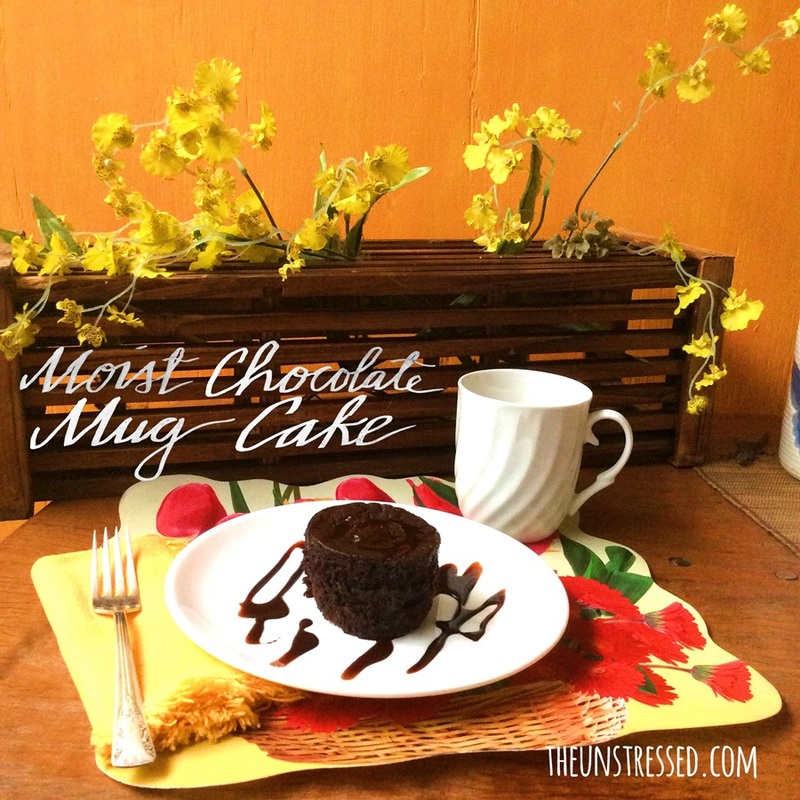 I removed the caked from the mug and did something with the presentation. It is actually good. 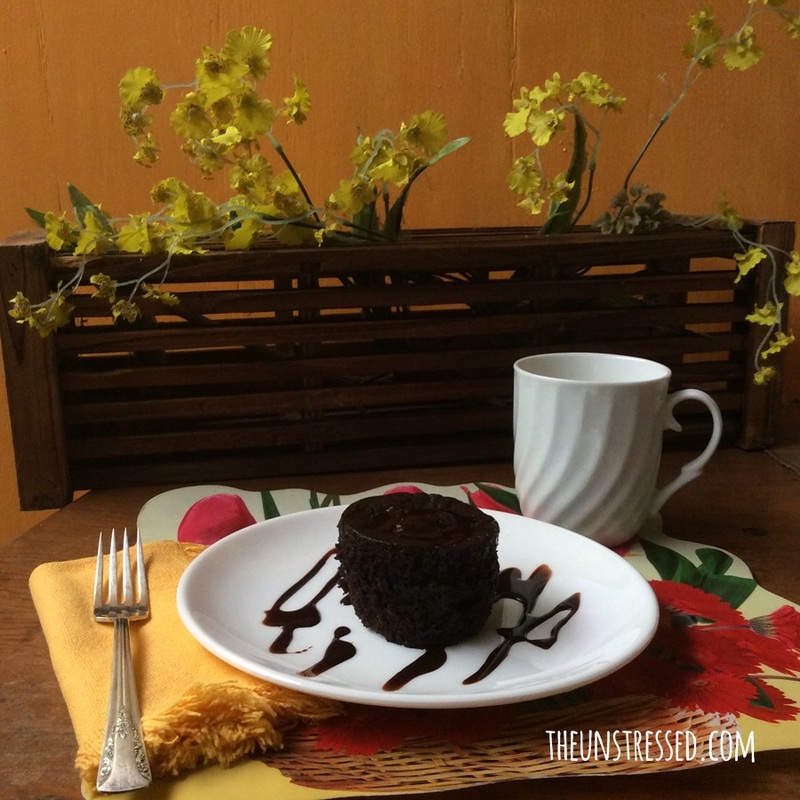 Can you see the lizard keeping an eye on the chocolate cake? True to its name, it is really moist. 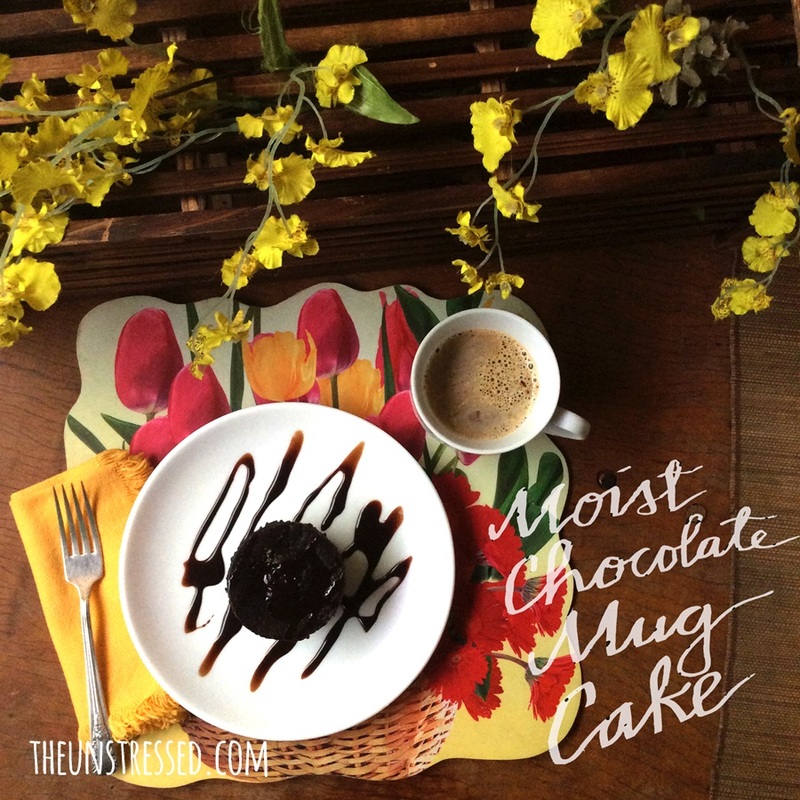 I want to try other mug cake recipes! I quit drinking coke the day after my birthday in 2014. I think I am quite successful with it since I get comments from my friends that I lost weight. I noticed that when I watch what I eat, I lose weight faster. So I try to eat as healthy as possible. 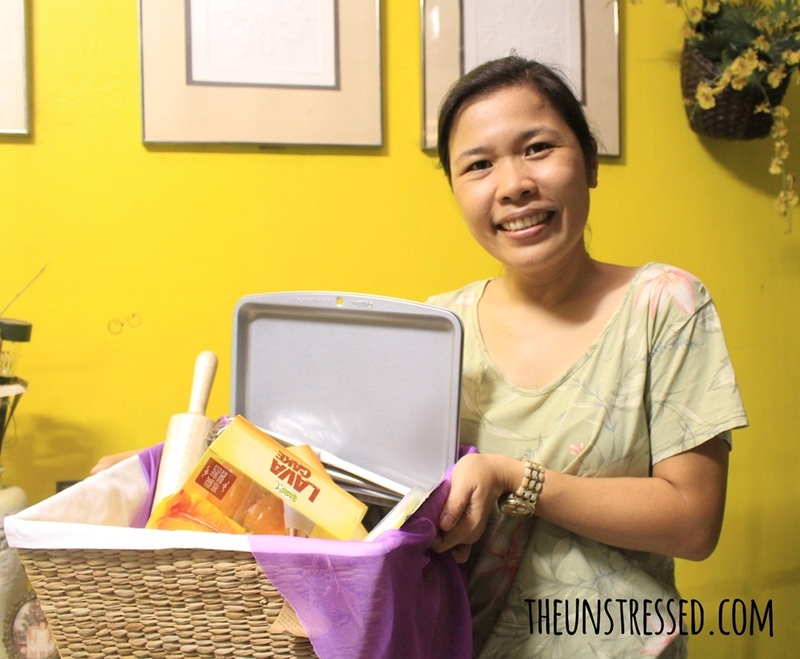 To be able to have control over what I eat, I need to prepare and cook my meals. 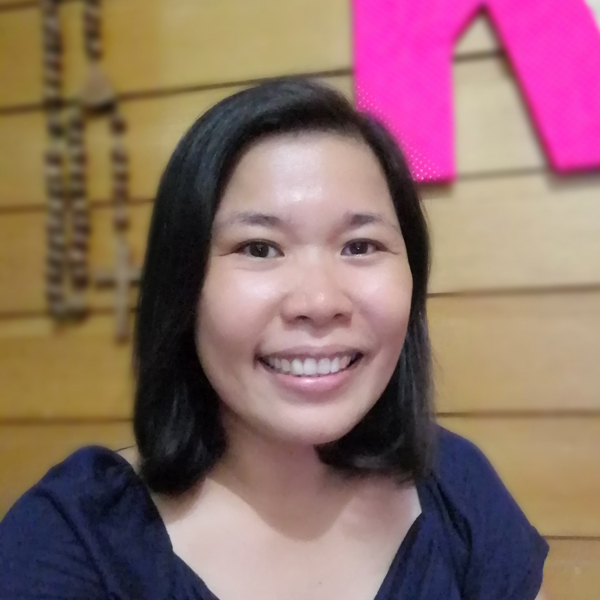 I made some effort to cook and prepare healthier alternatives to our usual fatty meals and sugar-rich desserts and snacks. I saw this on instagram and I wanted to try it myself. 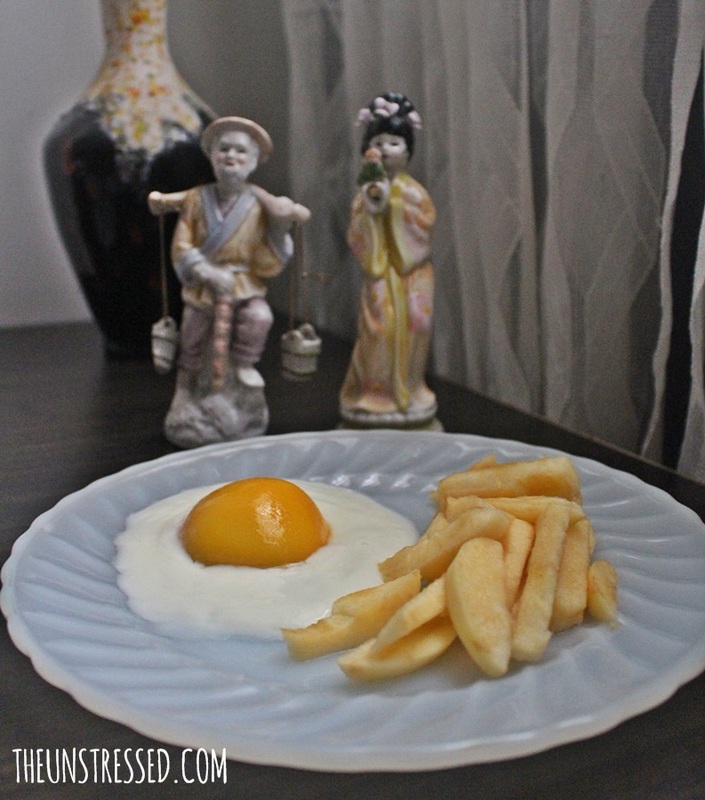 Not your usual egg and french fries. 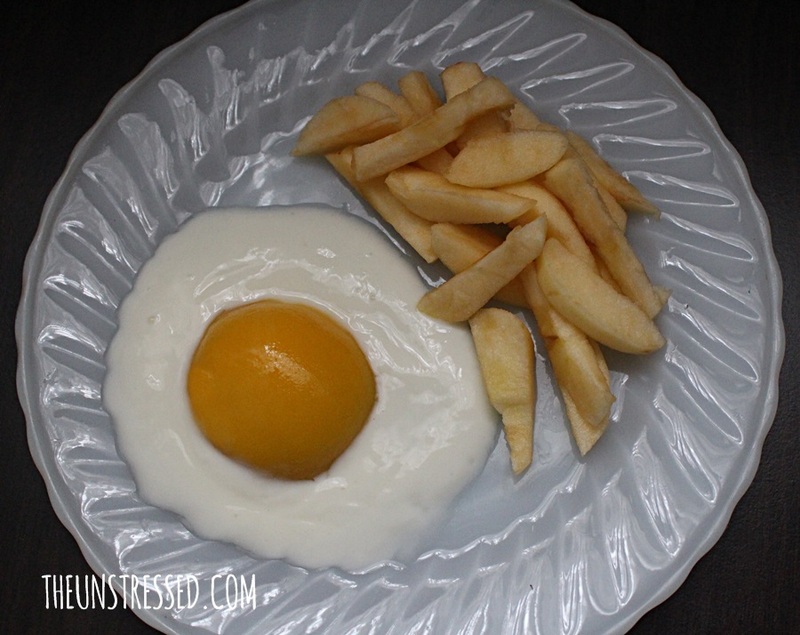 That is half a peach, yogurt and sliced apple. I discovered that an apple dipped in yogurt is delicious. 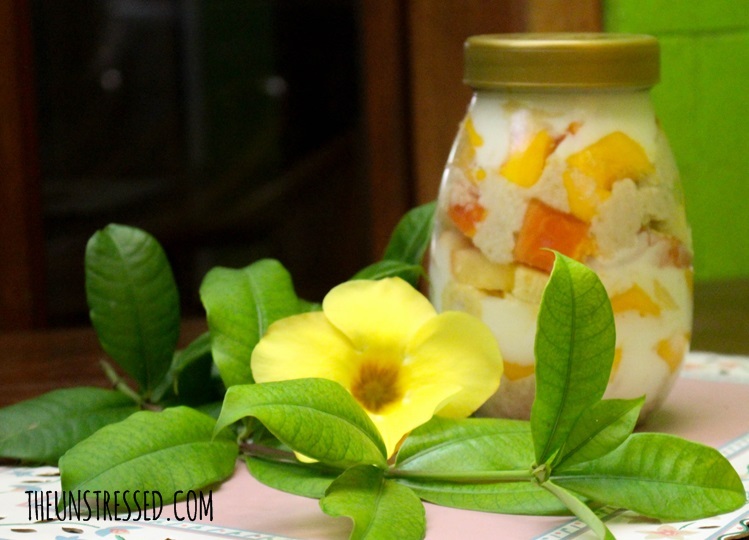 Since I still have that yogurt, another alternative to the “fries and eggs” would those cakes in a jar. I prepared my fruits. I was thinking of layering them like a parfait. I have the cooked oats to replace the cake, yogurt for the cream and the fruits. I should have cut the fruits into smaller pieces to make the layers more define. I still have excess ingredients that did not fit in the jar. They went to the bowl for instant gratification. I did not use sugar so it tasted bland but the mango and apple are sweet so it was okay for me. My aunt has a different opinion. Hahaha She did not like it. It was not for her anyway. The pope was in the country and my aunts were glued to the TV so I volunteered to prepare one meal for them. I wanted try cooking the fish tinola (fish soup) I had like what I have tasted in a shrimp place we tried. On the lower left is pan-fried seafood tofu. It was sold frozen in one fish store in the city. On the lower right is bacalao sauteed in oil and garlic. It was sold in jar from the same fish store I bought the tofu from. Bacalao is a type of fish which then dried and placed in a jar like sardines. I also bought the tuna I used for the fish tinola from the same store. Since I still have yogurt, I mixed cubed peaches and froze it. 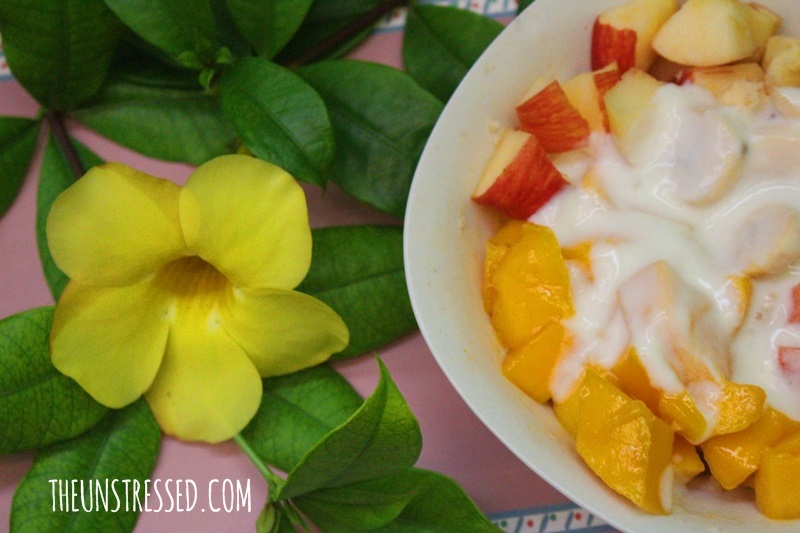 I unmolded the frozen yogurt into the plate and garnished it with sliced peaches. 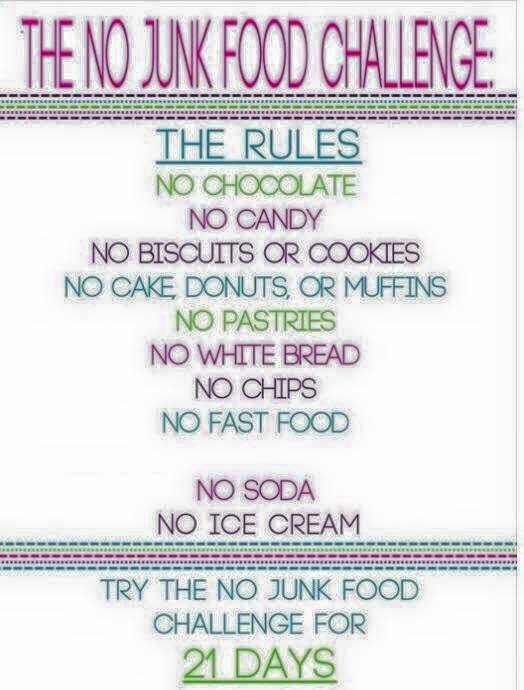 I am trying to eat healthy because of this 21-day challenge. However, I received a message from a childhood friend whom I have not seen in a long time that she would be sending me goodies she made through her brother. Of course, I will not refuse that wonderful gesture of friendship. 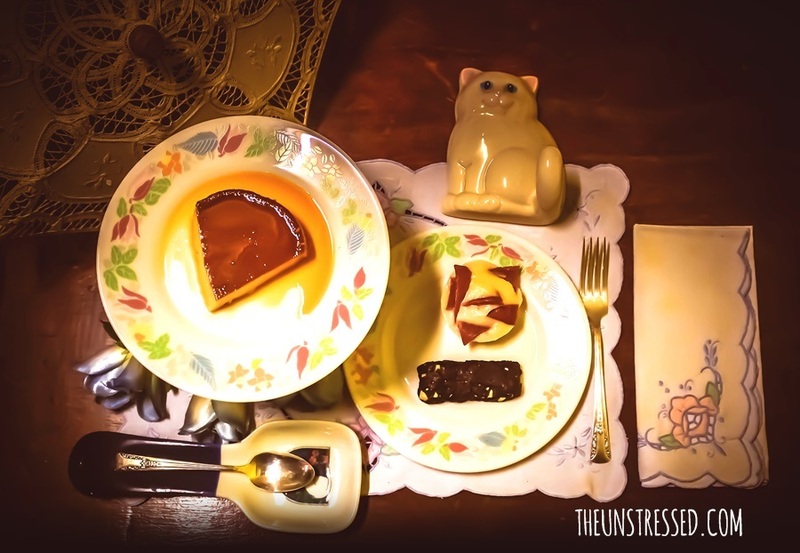 I got leche flan, ham and cheese puto and brownies. 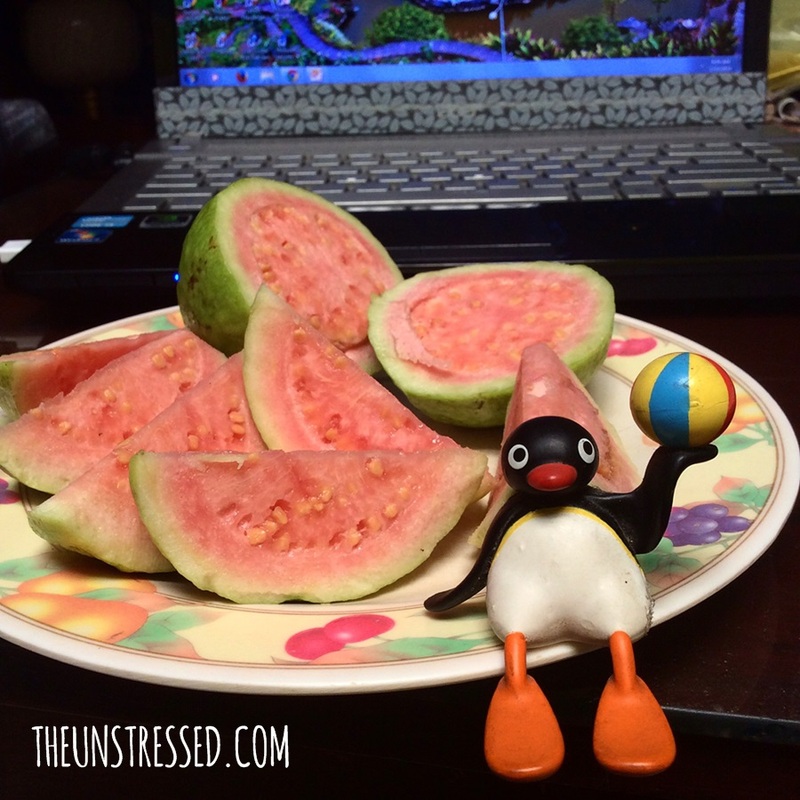 After devouring the food, I am back to Day 1 of the 21-day no junkfood challege. Good thing, my uncle came and brought me guavas. I think it is okay to take a break from dieting and enjoy life’s simple pleasures like a thoughtful gesture from a friend.